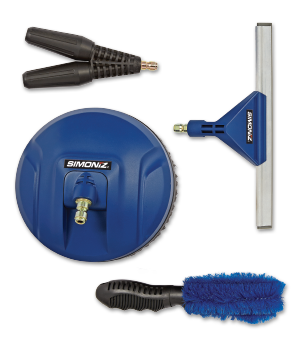 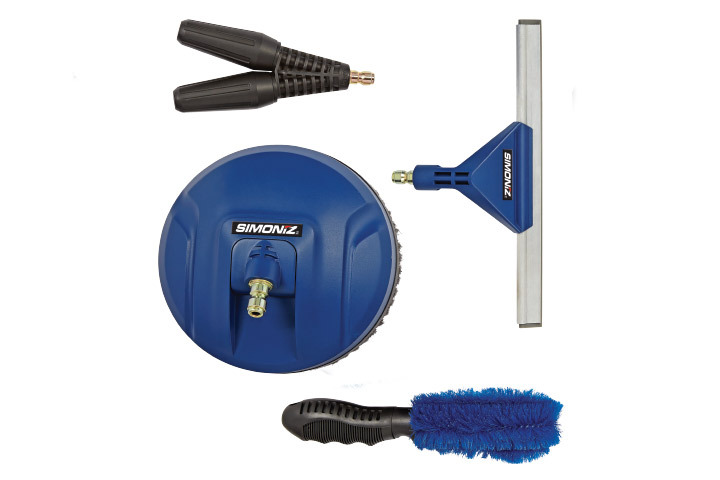 6” spinning surface cleaner for safe scrubbing on smooth surfaces. 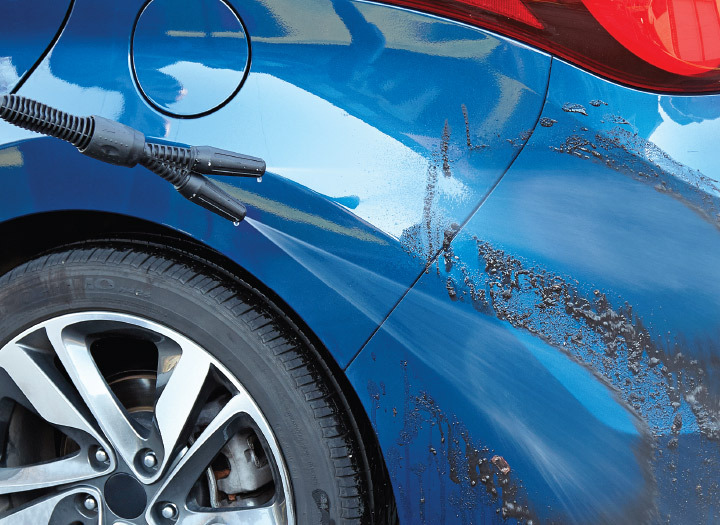 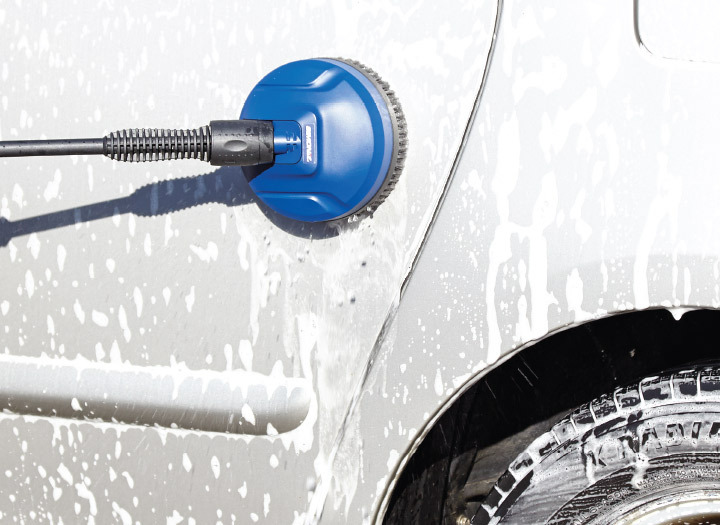 Dual turbo nozzle doubles the cleaning action. 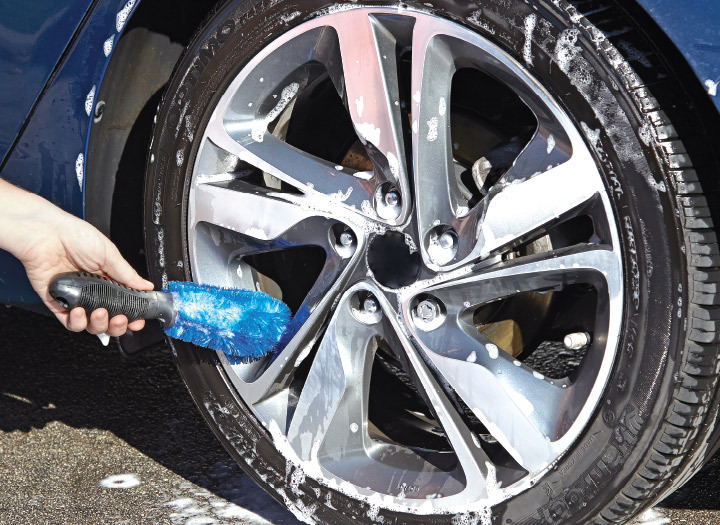 The tire brush’s unique shape makes it easy to clean between the spokes of the wheel and get at dirt that collects in the design details of the rim. 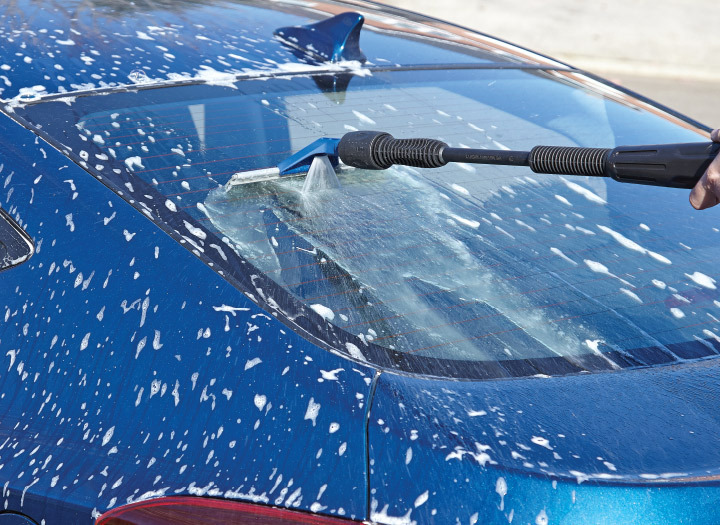 10” squeegee for streak-free window cleaning.